Taking a cruise from New Jersey to Bermuda with Celebrity Cruises on the Celebrity Summit, comes with some surprises. The first surprise came in the form of the check-in process. If you’re setting sail with over 2000 other people on a gigantic ship, you kind of expect some waiting time to check in. I arrived to Bayonne, New Jersey rushing and a bit annoyed at the traffic that was making me a little late. I rushed to the check-in area and handed in my documents. Not more than 10 minutes later, I was completely checked in, my luggage was checked in and I was sitting on a shuttle waiting to be transported to the ship. I mean, really?? That was kind of awesome. I was blown away at the staff’s efficiency. 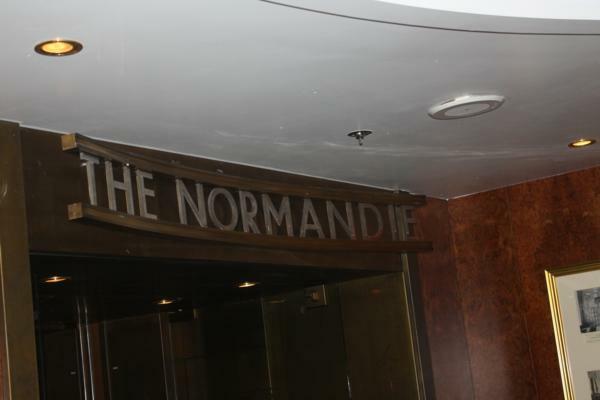 For the first night, I had dinner with some other bloggers and journalists at The Normandie. The food was beyond amazing. One of the best things about the ship is the attention they pay to appropriate portions. Usually, restaurants think that the more food they give you is the better.What happens is that I stuff myself with food, partly because of the guilt of having to throw anything away. The Normandie gave just the right amount of food. It was enough to satisfy me without leaving me feeling bloated and overstuffed. 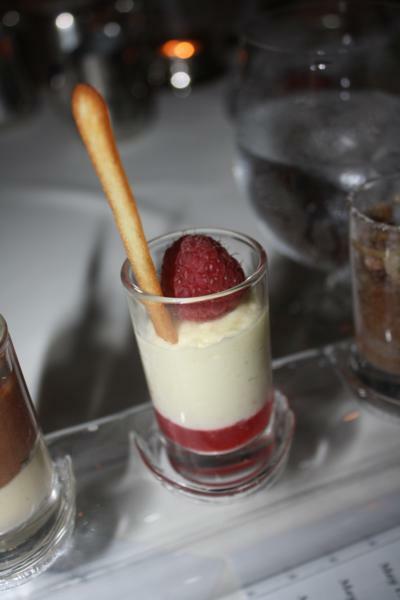 Dessert was a mix of bite-size tasters, which was absolutely delicious. I heard about the nightly entertainment on the Celebrity Summit. I should be clear that I’m not a fan of variety shows. I’ve been to a few resorts and seen their nightly entertainment. It’s usually a hodge podge of acts that are pleasant at best. I really didn’t have high hopes for the show but I went anyways. I snuck into the fourth row at the theater and sat down. The cruise director introduced the first act. He rose from the ground playing a piano and belted out the best rendition of Alicia Keys’ New York that I have ever heard….except from Alicia Keys herself. I sat in my seat completely mesmerized. The next act was a rendition of a Lady Gaga song and he killed it. He absolutely killed it. One of the acts was an aerial arts performance by Russian dancers. 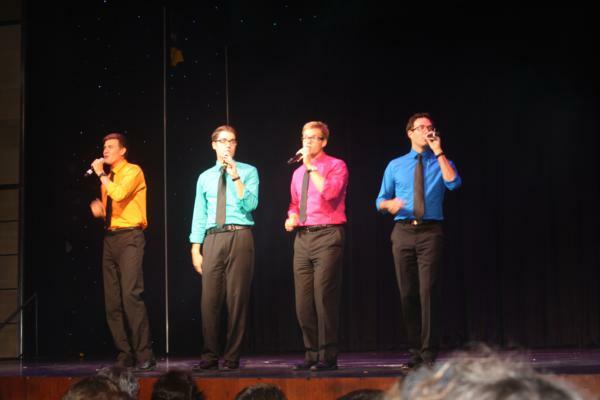 Every act, from the a capella quartet to the Celebrity Stars, their background band, was dead-on and amazing. I was dancing in my seat and completely blown away. The show left me quite determined to come back every single night of the cruise. 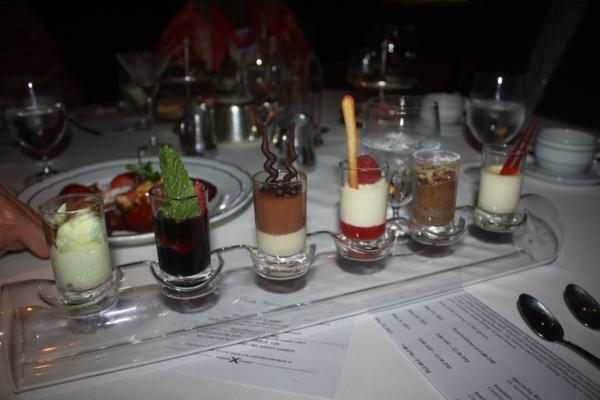 A super easy check-in, a delicious dinner and amazing entertainment….and we haven’t even arrived in Bermuda, yet. To learn more about Celebrity Cruises, click here.